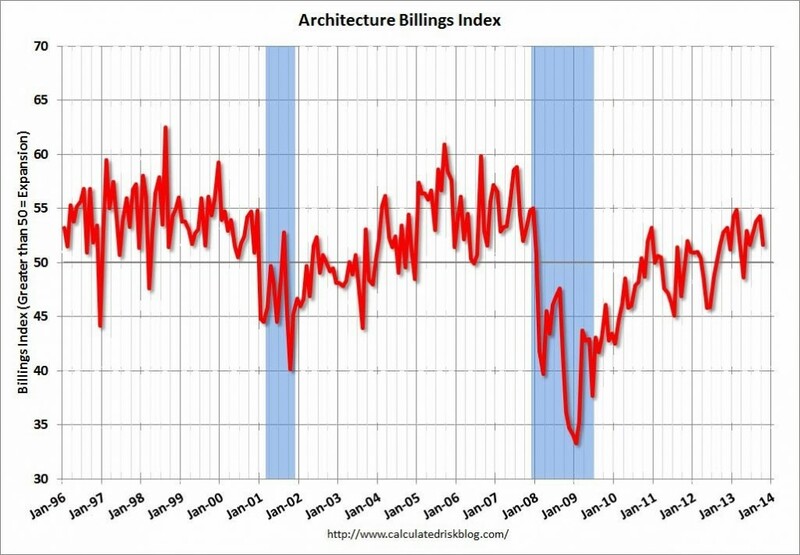 Washington, D.C. – November 20, 2013 – Following three months of accelerating demand for design services, the Architecture Billings Index (ABI) reflected a somewhat slower pace of growth in October. 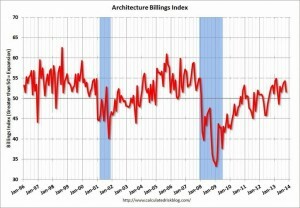 As a leading economic indicator of construction activity, the ABI reflects the approximate nine to twelve month lead time between architecture billings and construction spending. 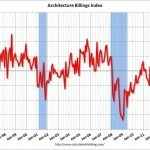 The American Institute of Architects (AIA) reported the October ABI score was 51.6, down from a mark of 54.3 in September. This score reflects an increase in design services (any score above 50 indicates an increase in billings). The new projects inquiry index was 61.5, up from the reading of 58.6 the previous month.